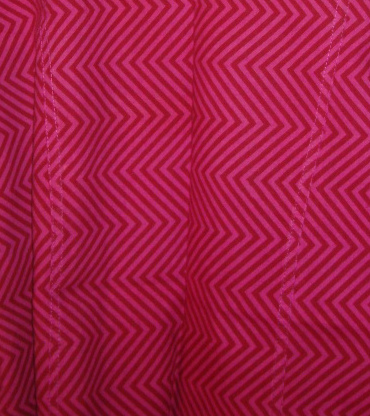 It is getting harder to name the tunics for reference. 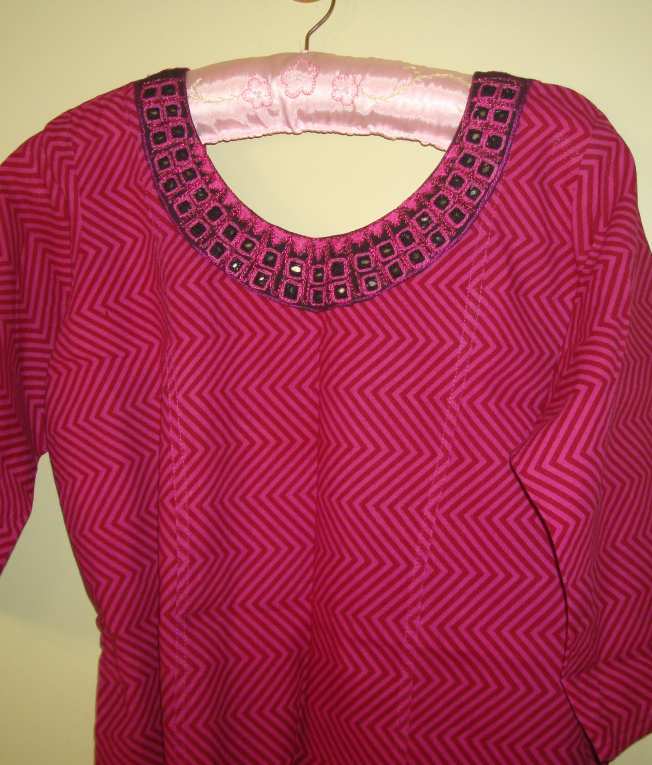 This tunic fabric is block printed cotton. I am not sure whether it is handloom or not. 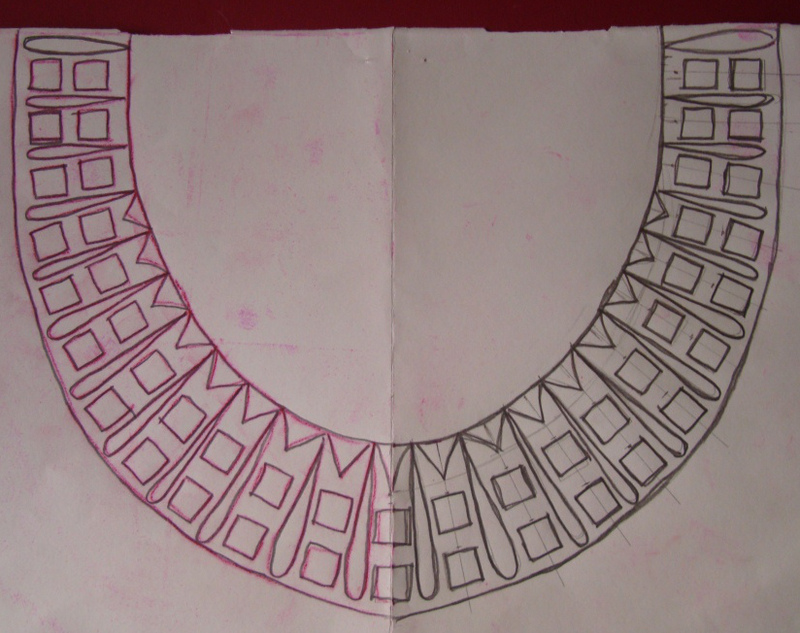 I was inspired seeing some neck patterns with simple shapes filled in one or many colours on some dresses. To this idea,I also wanted to incorporate mirrors as another element. 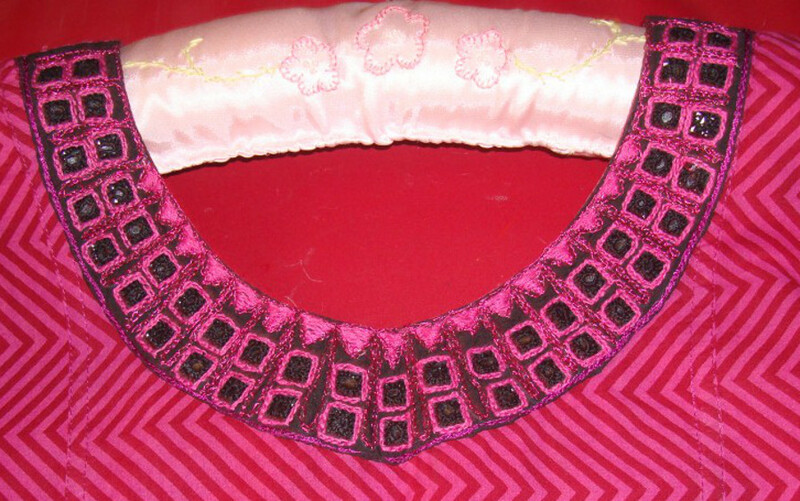 The result was this neck pattern.